There are a number of different ways that you could use the items in this pack. Here are five different activity ideas. The rest of the ideas can come from the kids. Trust me, they'll have their own ideas. 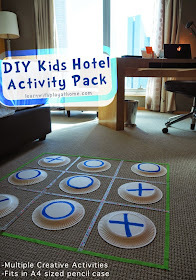 On the floor of your hotel room, lay down a tic-tac-tow grid using your paper tape. 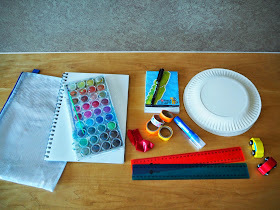 Make a large "X" on the back of five of the paper plates and a large "O" on the back of the other five (use your markers or tape for this). 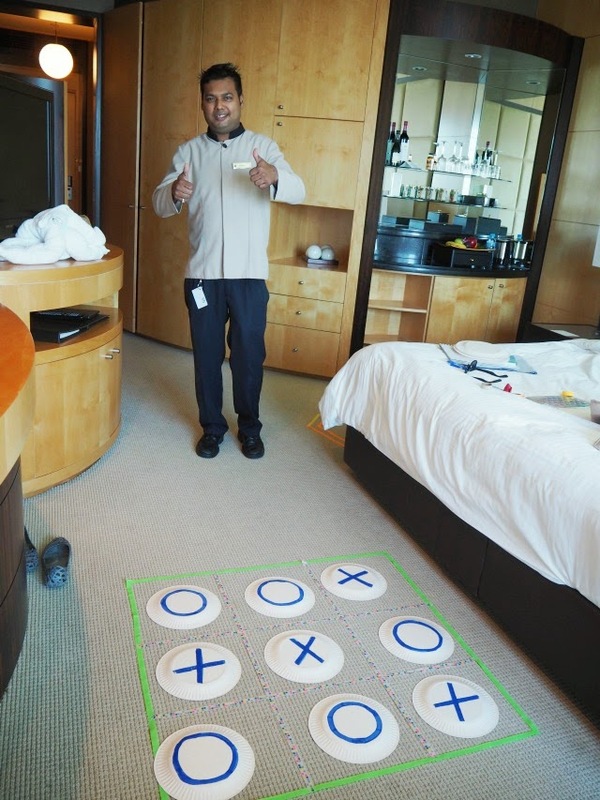 Players take turn putting their plates in the grid in an attempt to get 3 of their plates (either X or O) in a row. 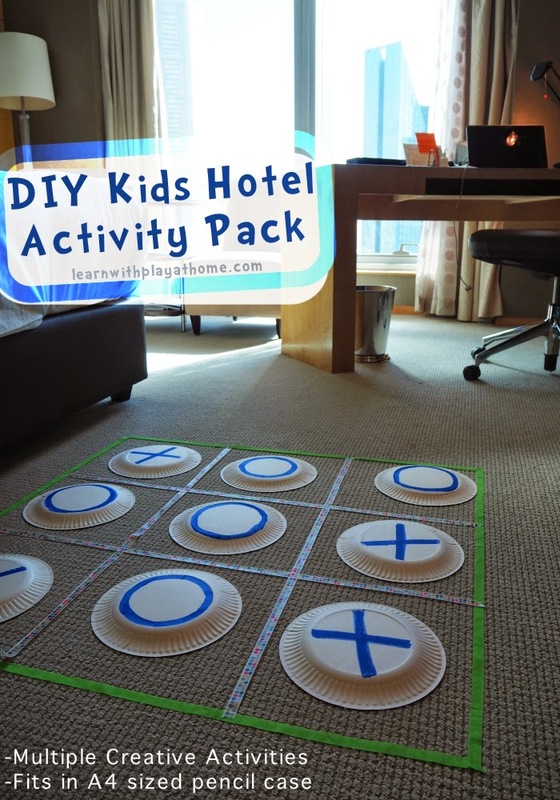 Use the coloured paper tape (or masking tape) to make roads on the hotel room floor and drive your little cars around for some imaginary play. This view isn't too shabby. Encourage your children to look outside your hotel room window and talk about the different features or objects that you see. They can paint or draw a picture. Don't forget to name and date the masterpiece as it can make a lovely momento of your holiday. Use the paper-tape to stick your ruler to the back of a paper plate and blow up a balloon. 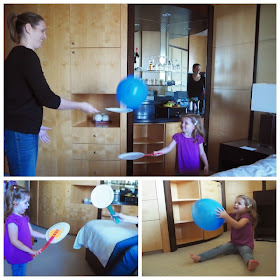 Have fun hitting and catching your balloon with your paper-plate racket. Try some giant sized "egg-and-spoon" style races with them as well. Lots of fun to be had quickly and easily and balloons are much safer to use in hotel rooms over balls! As well as making great rackets for balloon tennis, the same design can be used as a fun puppet or mask for children. Paint or draw on the extra details and then put on a puppet show. 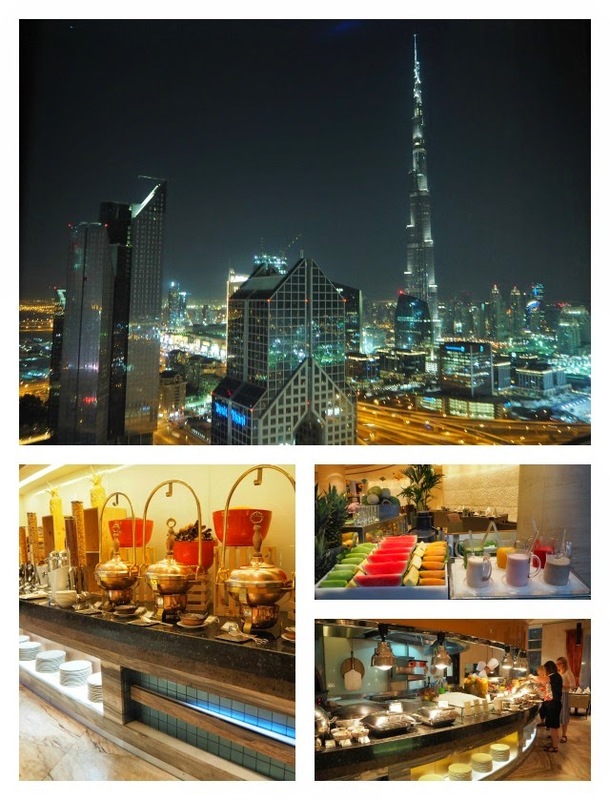 You may have noticed that I have recently been in Dubai! 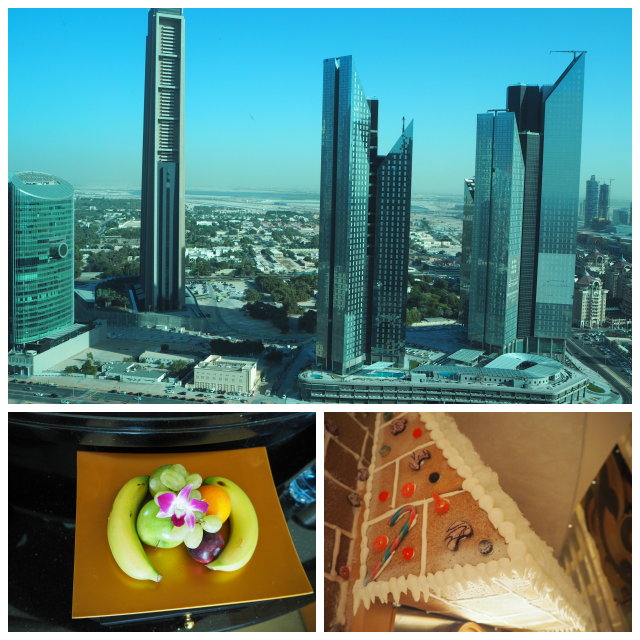 I was incredibly fortunate to be staying at the stunning Shangri La Hotel in Dubai. What a luxury! The Shangri La Hotel Dubai is located just 15 minutes from the Dubai International Airport and a short taxi ride into the hub of Old Dubai. (You shouldn't pay more than $10AUD for a taxi there). 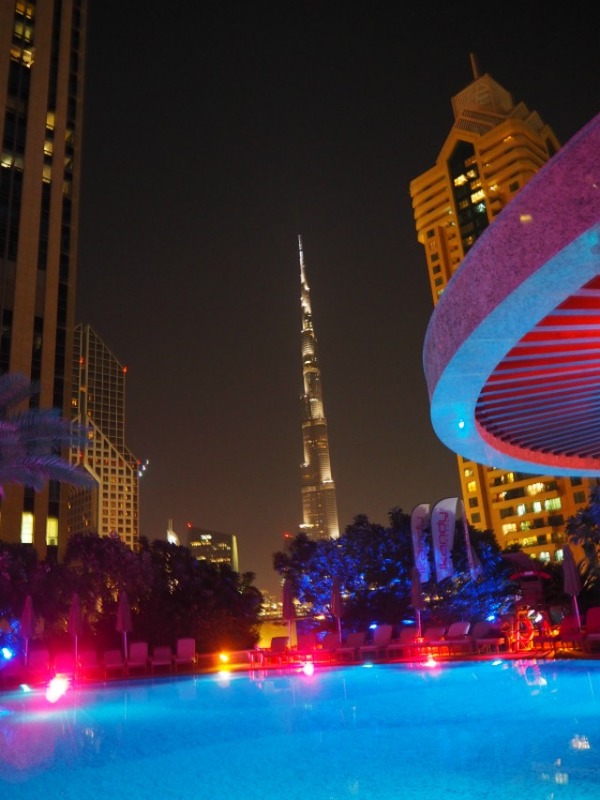 With 8 different restaurants and bars, a gorgeous rooftop pool (that you can see the Burj Khalifa from!) and the most impeccable service I've ever received anywhere, I am sure that you would not be disappointed staying here. Oh, and did I mention the breakfast buffet? Don't get me started. Just remember to try the French Toast. Yum! At the end of the day, it doesn't matter how amazing the hotel is. It's the staff and customer service that you receive that impacts your stay the most. 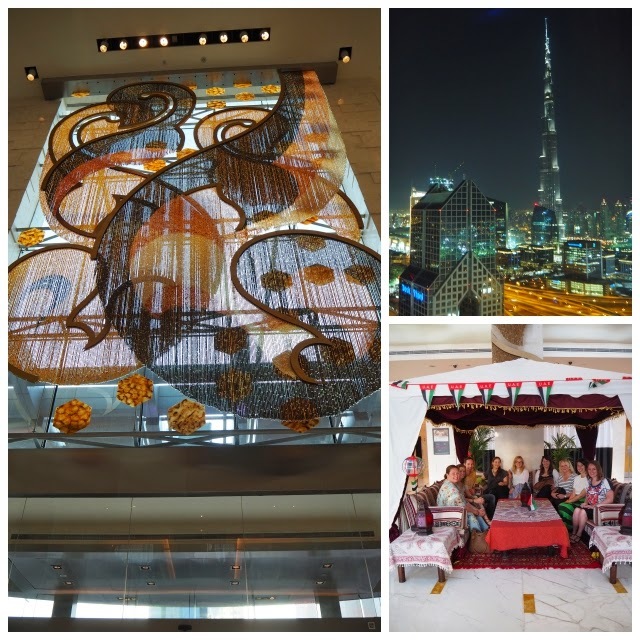 We were blown away by the fabulous staff and customer service that we received at the Shangri La Hotel Dubai. Love your travel pack, awesome ideas! Dubai looks like it was just incredible! 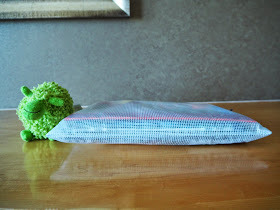 That travel pack is a fab idea! LOVE all your activity ideas. Seeing your photos makes me miss Dubai and want to do it all over again!